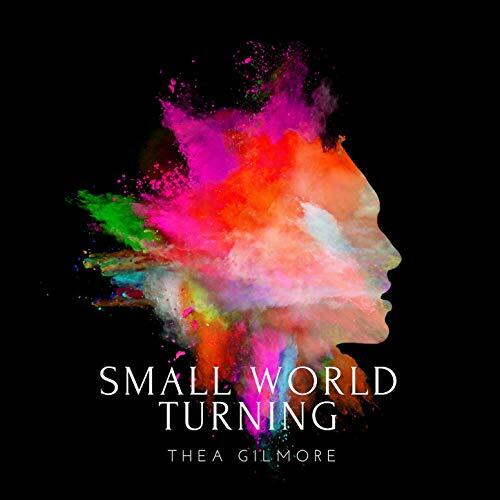 Thea Gilmore releases new album ‘Small World Turning’ on 17 May – her first new collection of songs since 2017’s ‘The Counterweight’ which was her 3rd successive top 40 album. Since releasing her debut as a teenager nearly 20 years ago, the Oxfordshire-raised, Cheshire-based singer and songwriter has gained global acclaim for making music not only of extraordinary beauty, but of rare honesty and insight. An artist of enduring international acclaim (Bruce Springsteen regularly names her as a favourite) and a justly revered lyricist, Gilmore’s musical settings have taken many ingenious detours in recent years. “Small World Turning” nails it’s colours to a very different wall from the get-go. Acoustic guitars are back to the fore, and a quintessentially rootsy array of instruments frame them – fiddles, whistles, mandolins, tenor banjos are all in abundance. “Small World Turning” is an album with an unashamed folk flavour and features contributions from Cara Dillon, Seth Lakeman and BBC Radio 2’s Young Folk Award winner 2013 Ciaran Algar. A gifted and exceptional artist at the peak of her powers, Thea Gilmore has delivered a vibrant and deeply resonant album, rooted in folk music but completely transcending any genre related limitations. She embarks on a UK tour with her band in May 2019 with support from Matt Owens (Noah And The Whale).